Summary: There are two Harter Fells on The Lakeland 365 list, this being the one that dominates the top end of Haweswater at Mardale Head. On his first list of fells Wainwright notes the heights shown on both the O.S. and Barthololmew 1 inch maps as 2539′ and 2560′ respectively but the latter was an error on his part as the 2500′ contour line was mistaken for a 2560′ summit height indication. On his list he also questions the height shown in the Baddeley and Ward Lock guidebooks, both gave a height of 2585′ for the summit. 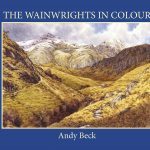 Now this may sound like too much detail but it does show that in constructing his lists Wainwright was influenced by not only the maps but by other guide books of the time. 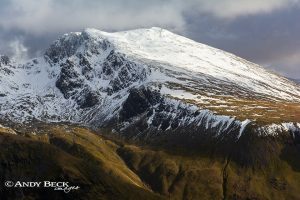 The fell itself is more often than not summited as part of a “round” either the Kentmere circuit or the Mardale Head version. 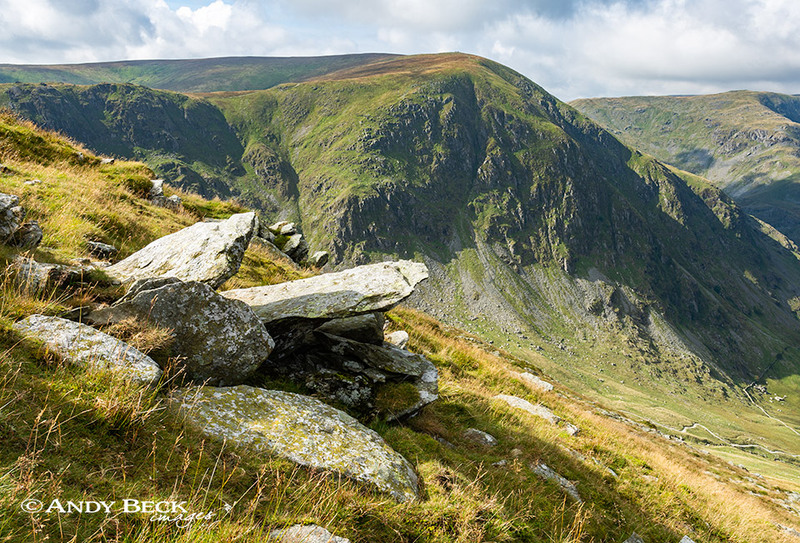 The rough craggy northern face (Harter Crag) is inaccessible to walkers but it has more gentle sides, that of the south and east where paths that come up from Kentmere Pike and Adam Seat make the rounded grassy top of the fell more easy to reach. To the west the route from Nan Beild Pass is a steep and rough way of climbing the fell. From the summit the views are extensive which is not surprising given the height. However, by walking a short distance to the north-west aerial views of Small Water come into sight, follow that by a visit to the northern most point of the summit plateau and you will find an angular boulder on which there is a faint benchmark (2440′) which provides a classic view of the length of Haweswater. Here you can adopt the sitting “Wainwright” pose as shown on Harter Fell 10- a popular thing to do. 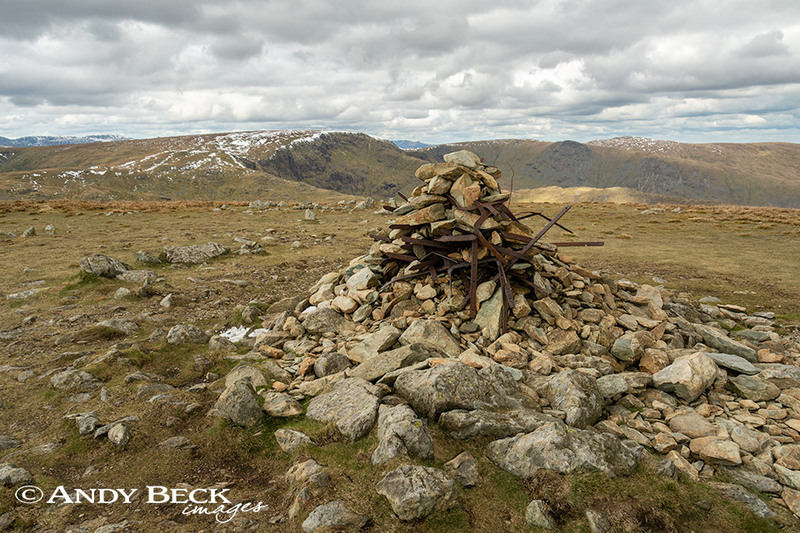 Topographical details: The height of 2539′ given in the Pictorial Guide has been updated to being 2556′ 779m and the highest point is a rough summit cairn composed of stones and a tangle of old iron fence posts which is the Wainwright summit. A new post and wire fence is just 3m to the east. Points of interest: Not many seek it out but a large boulder on the west slopes of the fell is marked on the map as Ull Stone, it stands out from a rather bland landscape but in other locations it probably not be worthy of a mention. Nearby is a disused slate quarry which appears as a large vertical slit on the fellside. Drygrove Gill is a large ravine on the same slopes. Nan Bield pass has a small stone built shelter, ideal for when the weather is inclement. Adjoining fells: To the south lies Kentmere Pike, easily reached by a good path which crosses broad upland. Adam Seat can be visited by diverting off the path that leads down to Gatesgarth Pass on the east side of Harter Fell. Nearest facilities: Car parking at Mardale Head (free). Food drinks and accomodation at The Haweswater Hotel. Tarns and Lakes: Haweswater to the north and Kentmere reservoir to the south-west. Small Water sits in the combe under the north-western slopes of the fell. There are small unnamed pools of water close to the summit and on the route south towards Kentmere Pike. Waterfalls: Small Water Beck has a couple of falls worthy of a visit. Star rating: (2.9 / 5) No real opportunity for hands on scrambling but a decent fell with a few interesting features and good views.